Media plans are the blueprints of your advertising campaign. Advertisers of all sizes rely on media plans for the structure to accurately craft, review and execute marketing tactics. Advertising is neither a sprint, nor a straight shot from point A to B. Missed deadlines, delays in creative, and shifts in budget or strategy can quickly send you off course. Investing the time to create proper media plans ensure you start the journey on the right foot. It also provides a reference to reassess tactics, adjust and get the team back on track if things go off the rails. 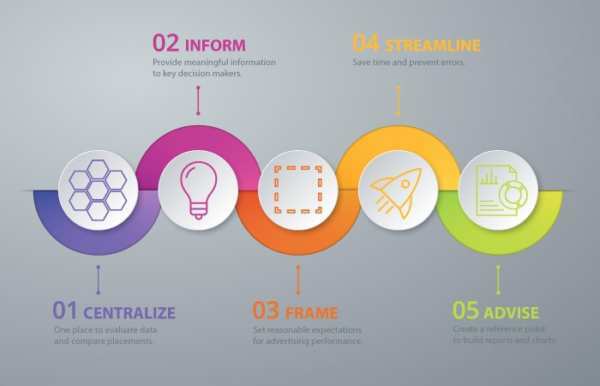 Centralize advertising metrics for easy evaluation of placements. 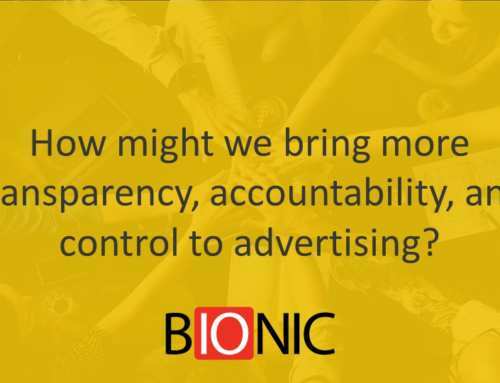 Inform decision makers of their advertising options in a way that is valuable to them. Frame expectations of the proposed media buy. Streamline execution of the media buys and reporting. Advise advertising reports such as flowcharts and reconciliation documents. Media strategies can be complex. It’s difficult to stay on top of countless advertising placements across various outlets, programs, formats and time frames. Additionally, information comes in different formats; RFP responses, rate cards and media kits. Tracking down data between documents is cumbersome and forces you to spend valuable time on low-value work. A media plan centralizes the information. It compiles pertinent data in one document to boost efficiency, accuracy and consistency. The uniform format makes it easy to compare advertising options. You can download our free media plan template to help you get started. Media plans are databases. Like any database, media plans are only useful if it contains the right information. So how do you know what information to include in your media plans? Well, it depends. It is certainly not as simple as copying old plans. 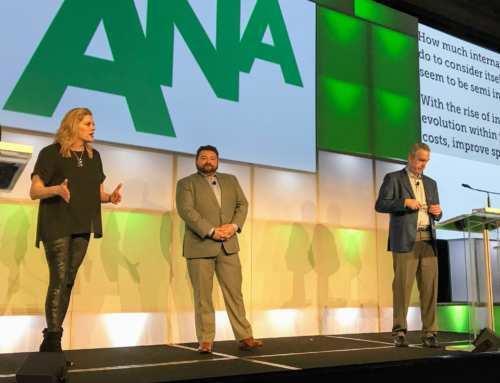 Key performance indicators (KPIs) and the definitions of success differ for every advertiser and can vary from campaign to campaign. You need to identify which metrics are relevant to the advertising and business goals. Vendor keeps track of who you’re buying the ads from. Program to know where your advertisements will appear. Product indicates what advertising space you are buying. Channel identifies the medium in which the advertising will be delivered e.g. radio, television, online display, native, social, search, newspaper, or billboard. Ad Unit so you know the size or duration. Start and End Date of the advertisement. Rate is the advertisement’s costs based on the product’s cost method. Quantity tracks the amount of advertising inventory you plan to buy. Total Cost aka how much to write the check for. Estimated reach gives an approximate number of people that will be exposed to the ad at least once. Frequency indicates the average number of times people will see the ad. Gross Rating Points (GRP) measures the size of an advertising campaign’s audience by a specific medium or schedule. Rating is the percentage of your population that will likely be exposed to your advertising. Impressions indicate the total number of exposures of an advertisement. Impressions do count multiple exposures to the same person over time. The Anatomy of a Media Plan article provides more details on popular media plan fields and their purpose. Here’s a scenario on selecting the right information for a media plan. A pizza restaurant’s KPI is online marketing return on investment (ROI). 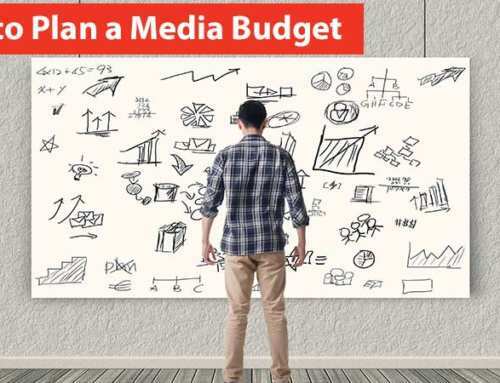 Your goal as the media planner is to provide the best course to achieve high ROI. What dollar amount of sales are a result of online marketing investments? Right away you can define “online marketing” using the program, product and channel columns. Next, you can address “investments.” At first glance, it seems you can report this with total cost. While it does provide some of the picture, including impressions and cost per thousand (CPM) allow you to measure the placements’ efficiency. For example, total cost makes it seem like there is no difference between a $1,000 investment in banner ads on a local newspaper’s website and $1,000 in Facebook ads. True, you spend the same amount, but the products are not the same. Impressions and CPM provide a more complete picture. By including that the banner ad is expected to produce 150,000 impressions at $6.67 CPM and the Facebook ad is projecting 200,000 impressions at $5 CPM. Now you can see the Facebook ad is more efficient in the delivery. To take it a step further, include estimated click through rates (CTR). You know from previous banner ads on the website that you get about a 3-5 percent CTR. Facebook gives you just about 1-2 percent CTR. Now you can multiply impressions by estimated CTR to estimate pageviews for each placement. Once you have estimated pageviews you can divide that by the total cost to get estimated cost per view. Finally, we need to address the “return” on that investment. This is answered through estimated conversions, conversion rate and cost per conversion. Like CTR, you can reference past performance data to estimate the conversion rate. 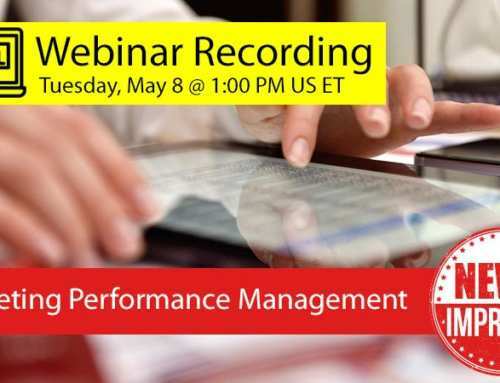 If you don’t have any data on past performance, you can fall back on industry benchmarks. This is not ideal since numbers vary wildly from company to company. Before placing a media buy, be sure that you have a way to track campaigns and conversions. Google Analytics offers campaign and conversion tracking for free. Cost per thousand (CPM) to evaluate the efficiency of ad delivery. Estimated click through rate provides another measure of efficiency and helps calculate estimated page views. Estimated pageviews to estimate how many times people will see your page because of the advertisement. Estimated cost per view to gauge much you will spend to get one pageview. Conversions to estimate a number of people who will put in a pizza order because of the ad. Conversion rate to estimate the percentage of advertisements that result in pizza orders. Cost per conversion to estimate the amount you would have to spend on advertising to get one pizza order. Figuring out the answers to the KPI questions ensures your media plan is meaningful to decision makers. Media plans are great ways to show clients what kind of advertising results they can expect. Everything from how much inventory their budget will buy to potential return on investment can be dissected. Let’s plug some numbers into the pizza restaurant scenario. We know the banner ad is estimated to produce 150,000 impressions at $6.67 CPM with a 3 percent CTR. Take 3 percent of 150,000 you get an estimated 4,500 pageviews. From here, take the total cost and divide it by estimated pageviews to get an estimated $0.22 cost per view. To estimate the conversions let’s use a 1.5 percent conversion rate. Multiply the conversion rate by the estimated pageviews to get 67 conversions. By dividing the cost of $1,000 by the 67 estimated conversions you get a cost per conversion of $14.93. Using this same process for the Facebook Ad gives us an estimated 200,000 impressions, $5.00 CPM, 1 percent CTR, 2,000 estimated pageviews, $0.50 CPC, 1.5 percent conversion rate, and 30 conversions at a cost per conversion of $33.33. Now you can see that although Facebook is more efficient at delivering the advertisement, it isn’t expected to convert as well as the local banner ad. Compiling estimates is integral to measuring the success of a media buy. Advertising is not a set it and forget it practice. There needs to be a reliable baseline to determine if an advertisement is under- or overperforming. There’s no way to predict the exact performance of advertisements. The media plan should, however, get you in the right ballpark. There’s a lot that goes into executing a media buy. A proper media plan sets the course for the rest of your process. When the rubber hits the road, you’re going to need every advantage available to keep pace. It wasn’t too hard to figure out the numbers for two placements, but imagine doing it for hundreds of placements. It’s a massive time commitment and the sheer volume opens you up to calculation errors and typos. A well-designed media plan includes formulas and cell references to do the bulk of the calculations. Take the pizza restaurant example. To calculate the estimated cost per pageview without a media plan you would need to find the documents with the placement information and do all the calculations manually like we did above. Once you set up your media plan with the appropriate columns and formulas all you need to do is drop in the information you have and the media plan will calculate the rest. This saves a lot of time and prevents many calculation errors. The Must Know Advertising Terms article has popular formulas that you can use. Once the plan gets approved there are several forms you need to prepare. 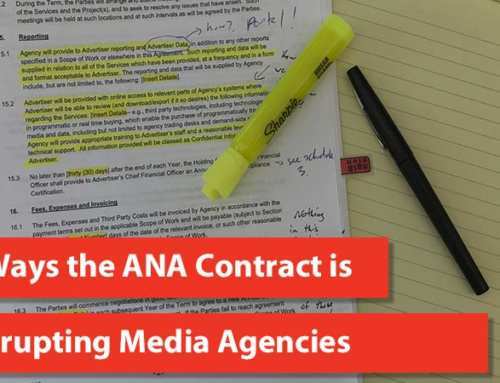 Media authorization forms for client sign off, insertion orders instructing vendors, or publishing to an ad server to name a few. The bulk of the information for these forms can be sourced from the media plan. The media plan preserves a uniformed dataset that you can reference to build flowcharts, reconciliation reports and allocation charts. Why is this so important? Working off one dataset is the only way your reports will be useful. Pulling from different datasets leaves you open to mismatched values and makes it impossible to compare campaigns. It will also inevitably become a source of confusion and more work as you try to figure out where the number all came from. Media plans also provide a place to check the health of your advertising. Let’s go back to the pizza restaurant. You’ve started to run the banner ad it’s returning a 1.3% CTR. Is that good? Is it bad? Luckily, you can reference the media plan to see it’s well below the expected rate. It’s easier to analyze advertisements and justify changes with properly framed expectations. Learn more about the different types of media planning reports. Media plans are critical to successful execution. Taking the time to include the necessary details and create a robust database is well worth it. You avoid costly errors, create a smoother process and minimize confusion.